NOT ALREADY REGISTERED? SIGN UP HERE. Want to learn the improv techniques that helped Mike Myers, Chris Farley, John Belushi, and many others along the road to TV and film stardom? Then let two esteemed founders of long-form improvisational theatre, Del Close and Charna Halpern, teach you the “Harold.” This groundbreaking acting exercise emphasizes pattern recognition and subversion of the audience’s expectations, which are important factors for making people laugh without ever telling a joke. It involves six to seven players and many kinds of scenes: games, monologues, songs, skits and more, all of which are bound to keep both actors and audience members guessing. 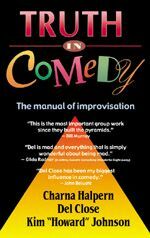 Read more...The Harold is non-linear entertainment that remembers everything and wastes nothing — the key to successful improvising — and has become a standard in comedy clubs and improv theatres around the globe. 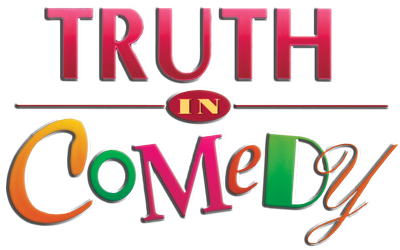 The sequel to the best-selling book Truth in Comedy, including a DVD that features performances by several famous improv groups.